Close to the beach, fantastic view from the flat, very accommodating owner. Frühstück haben wir selbst gemacht. Supermarkt delhaize ist fußläufig zu erreichen. Die Lage ist einmalig, beim Aufwachen Blick aufs Meer. Das Studio ist mit allem sehr gut ausgerüstet und die Betten sind problemlos in ein Sofa zu verwandeln. Das Fahrzeug hat man auf dem Parkplatz vom Studio aus stets im Blick. Eine Fahrt nach Frankreich zum Cap gris nez ist zu empfehlen. De ligging,parking was OK En zeker de studio .De goede ontvangst. En de rust. Außergewöhnlich freundlicher Empfang. Super gute Ausstattung, schöner Meerblick, gutes Mobilar, ausreichend Platz für 2 Erwachsene. L'accueil de Catherine, ses explications sur les équipements du studio, sur le transport en commun, stationnements et commerce. Nous avons été accueillis comme des amis. Sa disponibilité en cas de besoin pendant le séjour est rassurante. L'équipement du studio est de qualité. L’accueil très chaleureux à mon arrivée. Mme Waelkens s’est montrée flexible et très disponible. J’ai été super bien informée quant au studio ainsi que sur les points touristiques. Le studio ABI est très bien équipé, confortable et chaleureux. On y ressent le dévouement et le soins portés par Mme Waelkens. Wohnung ist perfekt aussgestattet,nichts hat gefehlt. Die Aussicht zum Meer ist super.Die Vermieterin ( Mutter und Tochter) sind sehr gute Gastgeber. Zeer mooi frontaal zicht op zee, strand en duinen. Ook het zicht op het binnenland was prachtig. tolle Aussicht, sehr sauber, Vermieterin sehr freundlich. Lock in a great price for Studio ABI – rated 9.7 by recent guests! Fitted with a balcony, the apartment consists of a living room with a seating corner with sofa bed and a dining area. 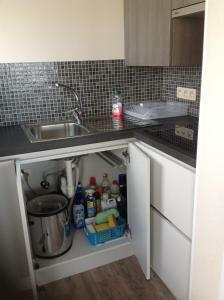 You can prepare meals in the fully equipped kitchen. The unit’s bathroom has a large walk-in shower, a sink and a hairdryer. Fine dining restaurants, ice cream parlors, shops and other establishments can be found all around the ABI Studio within an easy walking distance. It is 3.9 mi to Nieuwpoort, 19 mi to Ostend and 12 mi to historical Diksmuide with the Yser Tower. Activities in the surroundings include cycling, hiking, fishing and water sports. 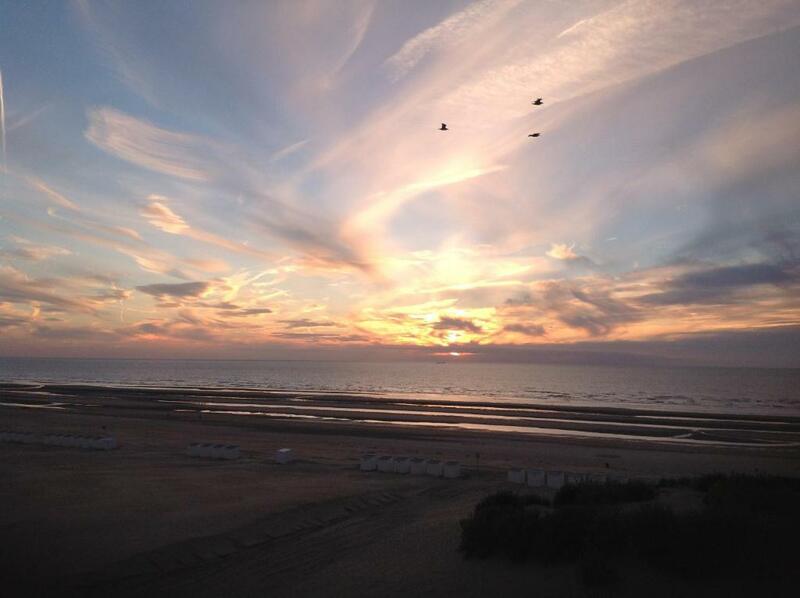 This property also has one of the top-rated locations in Oostduinkerke! Guests are happier about it compared to other properties in the area. When would you like to stay at Studio ABI? We are no real estate company, but a family with 2 children and we run our own studios. Because we believe there is a lack of luxurious and especially tidy accomodations to rent at the Belgian Coast, we bought two studios in 2013 , Studio ABI and studio ROSS Since November 2017 we are pleased to have for rent a third Studio called NALA. Studio Ross is located in Westende (Middelkerke) and Studio ABI & NALA are located in Oostduinkerke ( Koksijde), all of them have been completely renovated. In our view, customers satisfaction, or better ( customers enthousiasme) can be measured in four questions : 1. what is making you enthusiastic ? 2. what would you do in our place ? 3. would you choose us again for your next booking ? 4. would you recommend our studio to someone else ? If so, why, and do you know somesone ? At each rent, we personally meet our customers and learn to know them. The maintenance and the cleanliness of the studio is on our heart. We always come min. one hour prior to your check-in in spot to check-up/refresh the studio. At each rent, mattress and pillow protectors are washed, even if rented only for a weekend ! We spoil our customers with a small starters package : toilet paper/somme coffree patches for the senseo/bottle of water/green sponge for the dishes/small attention. Do not look any further, you will not find anything similar at better prices with the same services and guarantees. Oostduinkerke/koksijde is a lovely place with a lot of restaurants, pubs, laundries, bakkeries, many shops, a surf club at 100 meters, a brand new open swimming pool on the beach, the Coastal Tram at about 150 meters from the studio and a large plarking place just next to the Residence. During the season, we have many Terrasses on the beach with makes Oostduinkerke very popular. The amusent park Plopsaland is only a 15 minutes drive from Oostduinkerke, the French Town Dunkirk is 33 km away and the Historical Diksmude with the Yser Tower can be reached in a 25 minutes drive. A special tradition remains in Oostduinkerke. It combines the power of horses and the will of men, to bring us a tiny, sweet gift from the sea, the Belgian Grey Shrimp. The Shrimp Fishing on Horseback event in Oostduinkerke was added to the Intangible Cultural Heritage of Humanity in December 2013 by UNESCO. House Rules Studio ABI takes special requests – add in the next step! Please note that off-site free public parking is available next to the Europaplein. Off-site payed public parking is possible on the Europaplein, located in front of the property. Please note that this parking is also subject to surcharge during weekends and holidays between June and September. Please note that electricity and water fees are not included in the apartment rate and will be charged according to consumption on departure. Please note that there is no separate bed room in this studio. Only thing missing was a water cooker which we found out was in repair.